Here is a picture of my hunt this year in Idaho (10/19/2000). 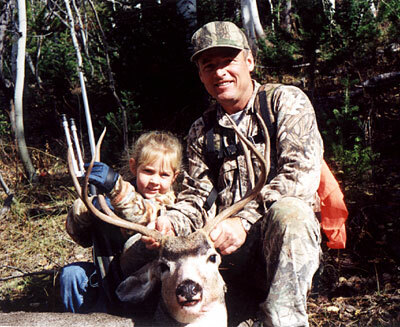 My daughter was with me on her first hunting expedition when I had a chance at this buck. As you can see I was successful (23" x 18", 3x3). I don't know who was more excited  her or me. Don't know what was more exciting  getting the buck or having her with me when I got it. I believe it was the latter.